How to be right and kind at the same time? Being right does not mean being harsh and being kind doesn’t mean just letting anything happen. Kindness is not complacence and righteousness is not just aggression. Unfortunately, today, when we are right we get aggressive. It need not be, it should not be. In fact, aggression only shows our weakness; our lack of faith in our own power. Isn’t this strange? You think that the powerful will be aggressive? No! People who feel they have no power, or they have lost power, they become aggressive. Just look a little deep into it. When do you get aggressive? When you can’t do things easily. When things can happen easily, will you get aggressive? So when you don’t have confidence in your power or the power of your being then you get aggressive. I know it is difficult to get that! 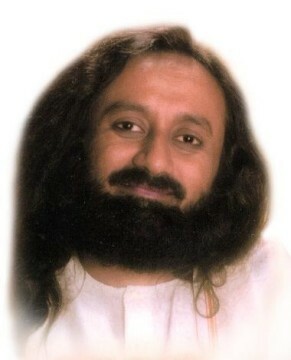 When all these things were happening in Delhi, someone asked me, "How were you so cool Gurudev? We were all tensed!" I know everything will happen well. And when I know that everything will happen, then what is the point of becoming aggressive, or upset, or sad, or unhappy. When you know the power within you, you don’t get aggressive. The powerful don’t get aggressive. Who gets aggressive? When you feel that the situation, person, people are beyond your control, or you feel that it is not possible. Or when you feel that you are smaller than the situation, then you become aggressive. I think you should ponder on this. Often you see a person with aggression, you feel that he is powerful. He is really not! If finally the whole universe will perish then what’s the point of our existence here? You know, if philosophy doesn’t appeal to you, read physics because the intellect says that physics is true. I tell you, physics today, fortunately says the same thing as philosophy, or philosophy says the same thing that is there in physics. Are you happy with The World Culture Festival? See, I am happiness, nothing need make me happy. I don’t have to derive happiness from any event. I am happy and the event happened very well, and it has become the talk of the town; the talk of the world, in fact! Everywhere people are talking about it. It has happened the way it should happen. The little shower on the first day, the terrible wind on the second day and the heat on the third, all the elements played their roles! We also had a hailstorm! So we saw all the seasons in the three days! We expected some 3.5 million people, but it went up to 3.75 million people. And it was also watched from around the world, in 188 countries. I don’t think any country is left in the world right now that has not watched The World Culture Festival! On the first day itself, one particular television station had 1.9 million viewers. Now what we will do is go deeper into knowledge. All this activity is done, now we need to go more into knowledge. I want to take you on more meditation knowledge trips. So we will do deeper meditations because that is the real stuff! That’s when we are all the happiest. When you tell me to smile, I am unable to smile when I have problems. How can you help me? So freeze these things for a little while and then see how meditation happens. Even just this intention, “I want to freeze these three things”, immediately makes a difference. You mentioned that three things stop us, desire, intellect and ego. Does this mean we die every moment? No, these three things obscure the space that you are. You are the vast space, you are the powerhouse, but that gets obscured with these three things and you don’t get a glimpse of the vast space that you are. 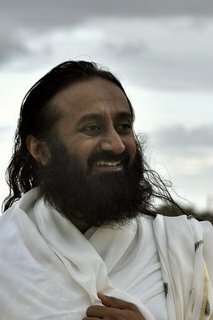 This is one of the techniques for meditation, when these three things are frozen for a while, then meditation happens. They cannot be frozen forever. I don't want to be part of any particular religion, but would rather have fun by taking a little bit from everywhere? You may have fun, but don’t make fun of any religion, okay! You will be in trouble, I tell you! We don’t need to do that, having fun is a different thing. 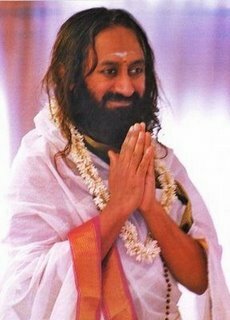 Take good things from wherever it comes and be spiritual, that’s The Art of Living.